Finally! 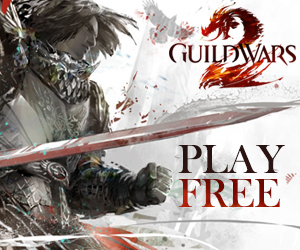 A Guild Wars 2 expansion has been announced and, in my opinion, it has been long overdue – but as they say, better late than never eh? ‘Heart of Thorns’ is the first expansion to be added to Guild Wars 2 since its release in 2012. While this is the first we’ve heard about it from ArenaNet specifically, fans have been suspecting an expansion has been in the works for a long time. The lack of effort put into this year’s Halloween and Wintersday events caused some players to think the developers were working on something bigger and better – and they were. Below is the trailer that accompanied the PAX announcement. The expansion is going to carry directly on from where the current Living World story finishes, which has been teasing us with the rise of Mordremoth throughout the story arc. It’s a topic that I think is awesome territory for a new expansion; who doesn’t love dragons? I’m dying to find out the fate of the Pact after the last episode, if any of you guys reading this haven’t played it yet, I really recommend you do; it’s gripping stuff! To tackle these new enemies, ArenaNet also announced a new ‘Mastery’ system – something that I think the game has been begging for. 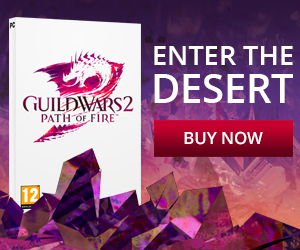 This is an addition to the end game of Guild Wars 2, designed in an attempt to make it more compelling, which in my opinion it hasn’t been for two and a half years. Instead of raising the player level cap and bringing a new grind into the game, the Mastery system is an account bound progression system, where level 80 characters can acquire Mastery points and spend them on cool new passive and active abilities which will help the player ‘tame the jungle’. One of the new additions is the ability to ride a hang-glider above the jungle canopy. How cool does that sound?! Mounts are something I have wished were in Guild Wars 2 since it was announced, and while I understand the reasons they were left out, that doesn’t change the fact that I was disappointed about it. But I guess I can live with hang-gliders. It’s a way that makes map traversal quicker and more efficient without removing the problem of people not taking exploration seriously. For example, if you’re flying above the tree canopy and you see something awesome on the ground unfolding, 9 times out of 10 I bet you’re going to glide your way down and have a gander at what’s going on. Now onto some other cool stuff that was announced during the conference on Saturday, namely this badass looking Rytlock just above. He’s now a revenant: the new profession being brought into the game in this expansion. Think ritualist and dervish from Guild Wars 1 had a baby, this is the fruits of that. The revenant is a new a heavy armored class that channels the ‘power of the Mists’, basically calling upon spirits of historical legends to do his/her dirty work. It’s hard to speculate on the kind of stuff they’re going to be doing skill-wise, but I think it’s pretty much nailed on that they’re going to look amazing if the pictures are anything to go by. The introduction of the new profession is probably going to get me leveling up a new character all over again. Another profession-based change is the addition of specialisations for each individual profession. This is what I personally am most excited about; it seems as if the developers have taken a step back to go two steps forward, drawing inspiration again from Guild Wars 1 where it was possible to have a secondary profession (for example my main character in Guild Wars 1 was a ranger/ritualist, and it was great). It’s not going to be quite the same in Guild Wars 2 though, but seems as if it will fill the same sort of role. The example that was given at PAX was a ranger specialising as a druid, which in turn allowed the character to wield a staff, unlocking a wealth of new skills, and more importantly more and better defined play styles. This has always been my major criticism of Guild Wars 2; while there’s so much about that game that I love, I’ve always felt as if the game has simply sold players the illusion of variation. This comes down to the fact that player roles are basically non-existent. Never before when I’ve been running dungeons on my mesmer have I felt like I’ve been filling a different role than any of the other players in the dungeon with me. Everything feels a bit gung-ho, like we just keep throwing bodies at problems rather than strategising and planning what each individual player is going to do. This is what I’ve always loved about endgame in other MMOs, the fact that once you’ve got to the max level you can keep on improving, keep on finding new ways to play – but with Guild Wars 2, as a casual player, this is something that I have never been able to do. Which is the reason why I’m so incredibly excited about this addition to the game, and if they do it right I can easily see a lot of my time being sunk back into GW2. The rest of the announcements they made aren’t super interesting to me personally, but it’s still nice that it’s being brought into the game. The first thing is a brand new PvP mode called ‘Stronghold’. In this new mode you’ll be able to take control of a castle and do loads of castle business like hiring soldiers, building up defenses, and manning siege weapons, then either defend the castle you’re in or go and attack the enemy’s and defeat their Guild Lord. It sounds a bit like a more structured version of World vs World. While I’m not too big on PvP this does sound like a hell of a lot of fun and I’m really looking forward to trying it out. The other PvP addition coming with the expansion is a brand new World vs World borderland with really cool, distinctive elemental-themed keeps which give the world benefits depending on which keeps you control. And finally they’re bringing back Guild Halls from Guild Wars 1! Hurray! I don’t understand why these were taken out in the first place, but they’re awesome places to chill and I’m very glad they’re making a return. If you have any thoughts, or disagree with me completely, please do leave a comment. I would appreciate it! In case you missed it, here’s some analysis on the announcement as it happened by some lovely members of the GuildMag team. Next: The Mursaat Are Coming! The Mursaat Are Coming!